You’d like to assume that an idle threat made on social media is toothless or a sick joke. Unfortunately, we no longer live in a world where such assumptions are okay (and we probably never did). 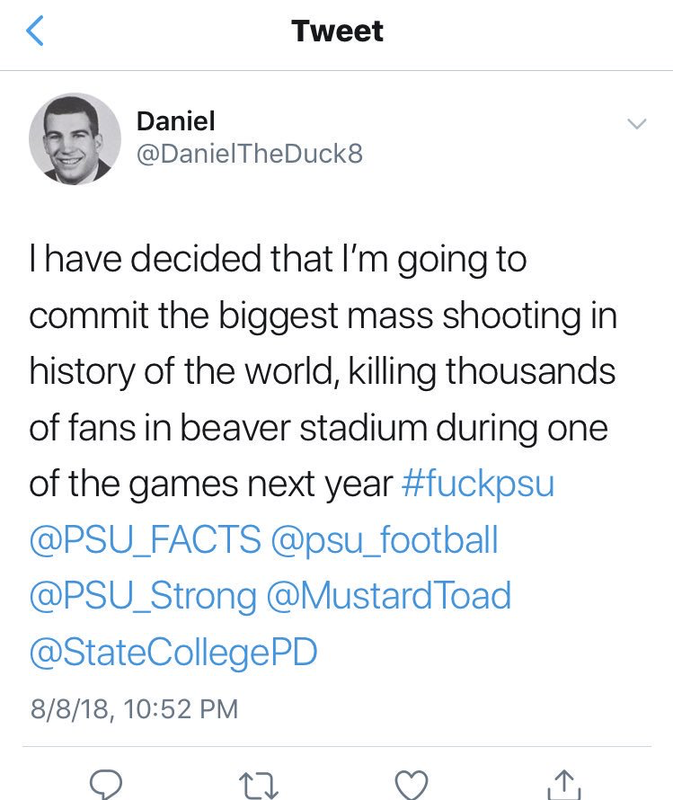 Thursday night, someone using the Twitter account @DanielTheDuck8 tweeted a mass shooting threat involving Penn State’s Beaver Stadium and an upcoming football game in the 2018 season. “I have decided that I’m going to commit the biggest mass shooting in history of the world, killing thousands of fans in beaver stadium during one of the games next year,” read the tweet, which also included an expletive-laden hashtag. The tweet also tagged multiple Penn State related accounts, including the football program and State College Police. 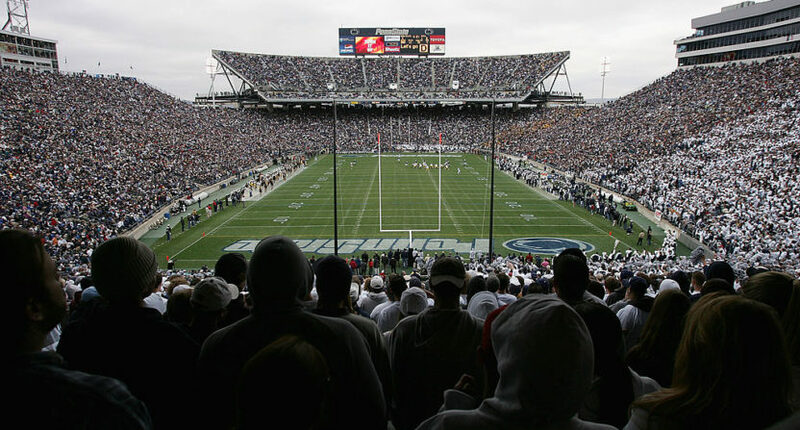 The Penn State University police (PSUPD) and the FBI are both looking into the threat. PSUPD made statements on their social media accounts saying that there was no immediate danger to the Penn State community, but they plan on determining the threat’s credibility. The @DanielTheDuck8 Twitter account originally removed the tweet but the account was deactivated soon after. Again, it’s likely that this was just someone’s idea of a sick joke but, unfortunately, we don’t have the luxury of hoping that’s the case. Security was probably already being stepped up at Beaver Stadium for this season and now people will point to this as a good reason to remain vigilant no matter what.